Lens Mount allows to change the lens of a DSLR camera. In Film SLR the Lens Mount served mechanical function only. In DSLR it has more functions to connect. When we are saying Lens Mount in Digital Photography – it definitely means, we will talk about the newer DSLR Lens Mount, not of the older Lens Mount. Our need in practical life is to mount a lens either newer DSLR compatible or old on new DSLR’s body. Camera type : Movie camera, Still camera etc. Thread pitch : Unified-thread, Pitch count dependent etc. You can not screw an incompatible screw inside a nut. Recall old school screw-nut principle. Mount type : Bayonet, Breech etc. Others are usually not used anymore. Usually the manufacturer becomes the determining factor. A Lens intended for Full-Frame DSLR can be mounted on an APS-C sensor sized DSLR (Read about Image Sensor Format) from all same manufacturer. But there will be a definite Crop Factor at minimum. Practically, a lower focal length lens like of 35mm focal length when mounted on a consumer grade APS-C sensor sized DSLR, there are numerous kinds of optical distortions. 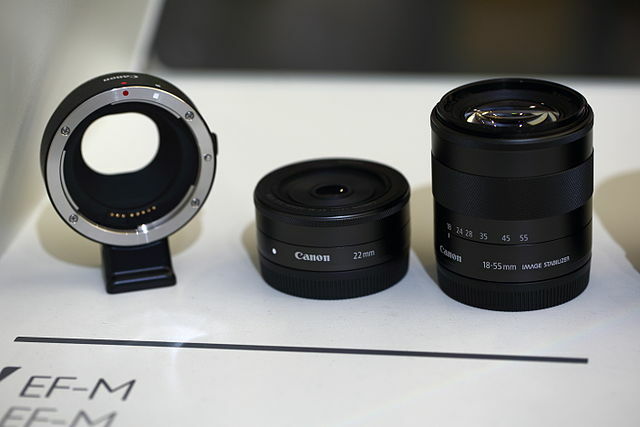 There are also Lens Mount Adapters available, like C-Mount to CS-Mount adapter. Focusing lens mount is usually present in medium format cameras, pro grade movie cameras. Secondary lens mount is an way to extend the number of lens (as not the primary lens is / are removed) or focal length to mount a lens on advanced point and shoot cameras, DSLMs etc. It is the Lens mount for which you mount the lens with a resistance in one direction only and only way to unmount is to push hold the mechanical button and do the reverse of mounting process. If the electrical or electronic connection is not right, the automatic systems including autofocus will not work. Focus have to be done with manual rotation of the focus ring only. Lens Mount in Digital Photography is a good example of vendor lock-in. This Article Has Been Shared 4295 Times! Cite this article as: Abhishek Ghosh, "Lens Mount in Digital Photography," in The Customize Windows, April 19, 2013, April 26, 2019, https://thecustomizewindows.com/2013/04/lens-mount-in-digital-photography/.